Word on the street is that some of Delaware’s most entrenched “good old boys” are being considered for Delaware’s Secretary of Education role. And I know there is a well-connected group of education insiders who would applaud Governor-elect Carney for such a pick. But in 2017, I think Delaware kids and schools deserve more than the good old boys’ club. When Delaware’s current Secretary of Education, Steven Godowsky, was appointed in 2015, a similar network of insiders praised him in a News Journal article for being “experienced, knowledgeable, and connected” and having the “respect and trust of colleagues.” But absent was any discussion of how trust and relationships had led to superior results for students. Relationships come with responsibilities and you do not earn such effusive praise without the expectation that you will deliver as a friend when it matters most. It was no surprise then that, shortly after assuming the role of Secretary of Education and receiving this glowing endorsement, he attempted to return the favor. A simple Freedom of Information Act request would show what many knew: that Secretary Godowsky attempted to bring some of those same folks to serve in Deputy Secretary and Associate Secretary roles. In the good old boys’ club, patronage regularly takes precedence over performance. That’s why while I was still at the Department of Education Secretary Godowsky pushed our team to renew the contract of the University of Delaware’s Executive Leadership Academy. 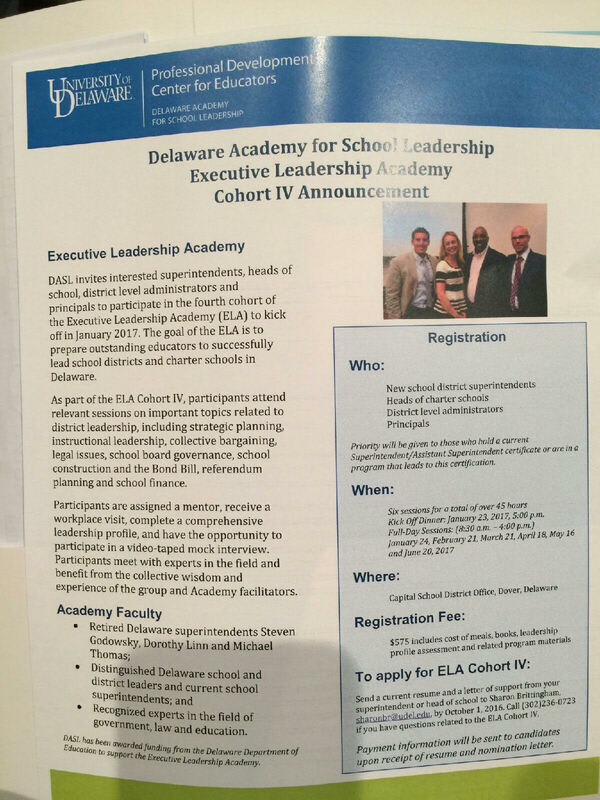 And this was a program that, prior to coming to the DDOE, he led along with Kevin Carson (recently-resigned Executive Director of Delaware Association of School Administrators) and is still listed among the academic faculty. A teacher evaluation bill that was bad for students, educators, and taxpayers. A decision to quietly release school report cards and exclude a summary rating for each school even though the Department’s survey of thousands of Delawareans said that is what the public wanted. A credentialing policy that allows principals to “take it until they make it” on the assessment that determines if they are skilled enough to observe and evaluate teachers. The demise of a bill designed to prevent teachers who are accused of misbehavior from quietly resigning and getting another job before the state can take action. These are not the types of policies that will make Delaware’s education system world-class and ensure all Delaware students have high-quality schools and classrooms. These are policies that will widen academic disparities and ensure limited accountability for student progress. So as Governor-elect Carney prepares to make a cabinet appointment, that is important for not only the education system but the state’s overall success, we should all expect more. Our bar should not be how connected they are, how many positions they have held, or how many insider endorsements they can amass. We should expect integrity. We should expect the courage to do things that are best for kids even when they inconvenience adults. We should expect a track record of work to promote equity and exemplary student achievement results (especially with underserved students). 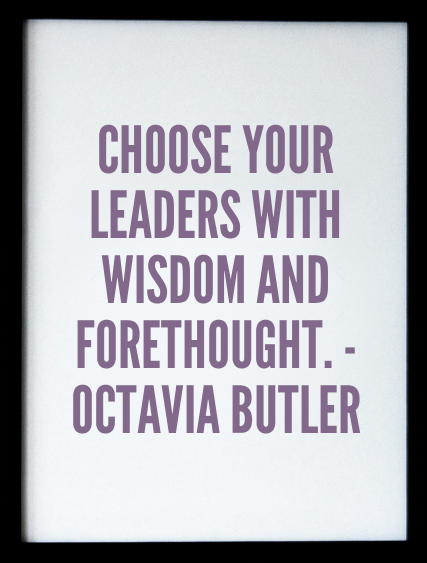 We should know that those types of leaders exist and having them at the helm would make a world of difference for students. I am expecting 2017 to bring us great things for students and for our state under the Carney administration. Let’s hope it starts with giving our kids much more than the good old boys’ club. Pingback: Why Susan Bunting as Delaware’s next Secretary of Education will mean progress for kids | "The Urgency of Now"